Turkish Airlines and Royal Jordanian have signed a Codeshare Agreement on routes between Jordan and Turkey on September 14, which is set to further expand travel opportunities for the customers of the two airlines. The agreement will be effective as of September 21, 2015. The signing ceremony took place at RJ’s headquarters in Amman. Royal Jordanian President/CEO Captain Haitham Misto and Turkish Airlines Deputy Chairman and CEO Temel Kotil, PhD signed the deal in the presence of officials from both sides. This new code share agreement is bound to broaden the commercial partnership between the two companies. At the same time, passengers of both airlines will be given more travel options between Jordan and Turkey. 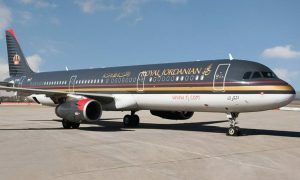 Under the terms of the agreement, Royal Jordanian and Turkish Airlines will place their carrier codes on each other’s flights between Amman and Istanbul and Royal Jordanian will place its carrier code on Turkish Airlines’ flights between Aqaba and Istanbul. 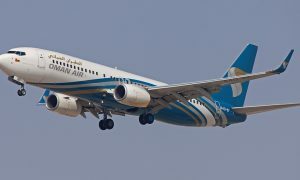 The agreement might also enable the two carriers to put their codes on the flights to other destinations operated beyond the two capitals in the future. 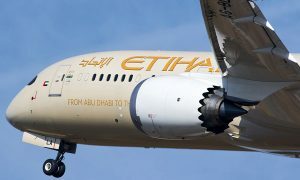 Captain Misto expressed satisfaction with this commercial partnership with a well-established and rapidly growing carrier like Turkish Airlines, which enjoys a broad route network. Several worldwide points that Turkish Airlines serves will be open to Royal Jordanian passengers flying from Amman and Aqaba to Istanbul and from there to various airports on the Turkish Airlines’ network. Misto stressed that travelers of both airlines will experience a streamlined level of services to the destinations covered by the agreement onboard two modern fleets of aircraft. He also expressed hope that the step will be the first on the way to further enhancing relations between the two airlines in the future. Both Royal Jordanian Airlines and Turkish Airlines operates 14 frequencies weekly Istanbul–Amman flights, while Turkish Airlines runs 14 frequencies weekly regular flights between Istanbul and Amman, and 3 frequencies weekly flights between Istanbul and Aqaba.